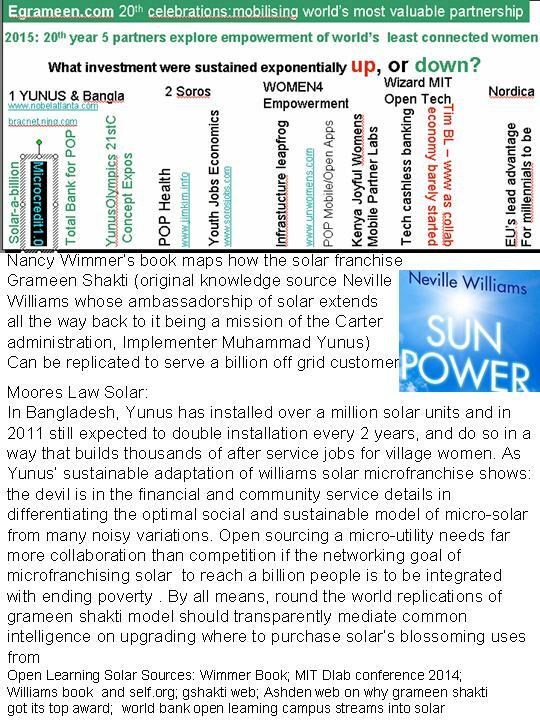 A small board of global youth led by chinese women and a team in Bangladesh and I are writing world record book of job creators with a top 10 that includes George Soros... Is there someone i can send my soros chapter to who can check for any inaccuracies or subtleties that may not be culturally the most valuable for under 30s to prioritise action around Soros hope for the future? We are proud to announce that founder and chairman of BRAC, Sir Fazle Hasan Abed will inaugurate the Subir & Malini Chowdhury Center for Bangladesh Studies at UC Berkeley. A MIcrofranchise App on 5 Billion Person Elearning Platforms? .Of partnerships accelerated through mobile connectivity in village.